Here is a quick and easy to make pesto recipe that is truly delicious. I love it on pasta, as a veggie dip or as a spread on sandwiches. I hope that you enjoy it! Click below for the full video demonstration. Here is an easy recipe from Beachbody’s 21 Day Fix Extreme program. These are so simple, filling and can last all week. 1) Heat oven to 375 degrees. 2) Lightly coat a twelve-cup muffin tin with spray. 3) Place eggs in a large bowl; whisk to blend. Season with salt and pepper if desired. 4) Add spinach, bell pepper, and onions; mix well. 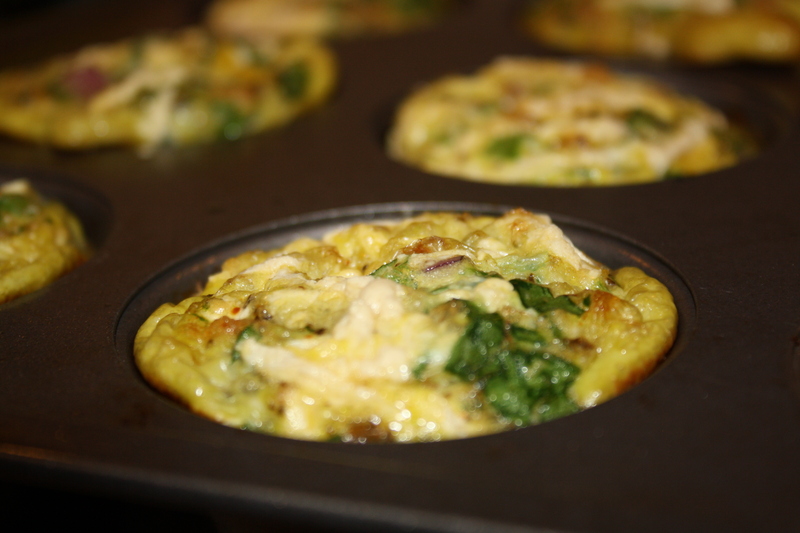 5) Evenly poor egg mixture into muffin tins. into the center of cups comes out clean.